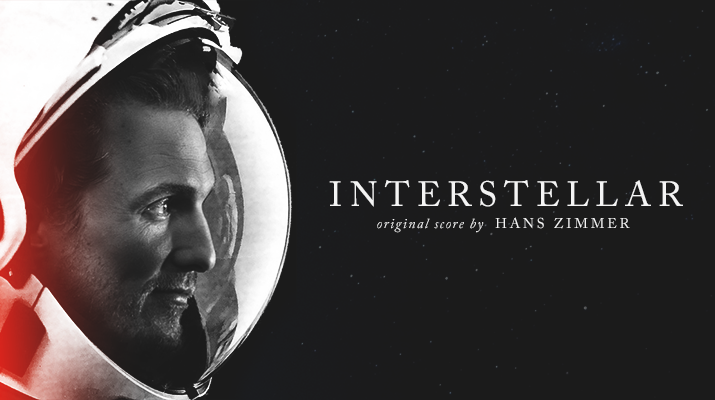 The 2014 retrospective continues with my picks for the ten best scores of last year, with works from notable composers like Hans Zimmer, Alexandre Desplat, Trent Reznor and Atticus Ross, to lesser known composers such as Mica Levy and Keegan DeWit. Most of the listed tracks are on Youtube but, whenever that’s not the case, the links will redirect you to Spotify. The scores are not necessarily in order, for truly all ten are fantastic – even the honourable mentions are worth a listen. And they are Jeff Grace’s thriller score for Cold in July, Dustin O’Halloran’s delicate piano pieces for Breathe In, Andrew Hewitt’s stranger than strange score for The Double, the prolific work of Jonny Greenwood in Inherent Vice, the eeire undertones of Antony Partos’s and Sam Petty’s score for The Rover, the score for Belle by the ever lovely Rachel Portman, and Alexandre Desplat’s score for The Imitation Game. Ah, Hans. I really didn’t appreciate the melodramatic tunes (or perhaps the close-ups of McConaughey’s tears were a little too tight), but once you got into the thriller and sci-fi zone, you nailed it. As always, you’re larger than life – sometimes even bigger than movies. 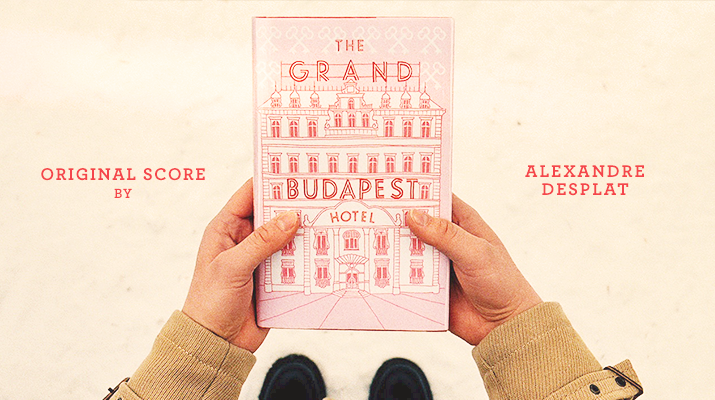 Congratulations to Alexandre Desplat for the double oscar nomination – is that a first? To be honest I’ve never been the biggest fan of Desplat’s pling pling tunes (I know that sounds retarded but hey, it’s the best I could come up with), but this year he did it: he let go of that pling and dived head first into Wes Anderson‘s crazy world, and what surfaced was quirky and beautiful, so very fitting of The Grand Budapest Hotel. It’s the pick-me-up soundtrack of the year! Finally a jazz infused original score, filled with hot, velvety sounds that make you want to, you know. I haven’t seen the movie, but you can make a CD out of this one, please. 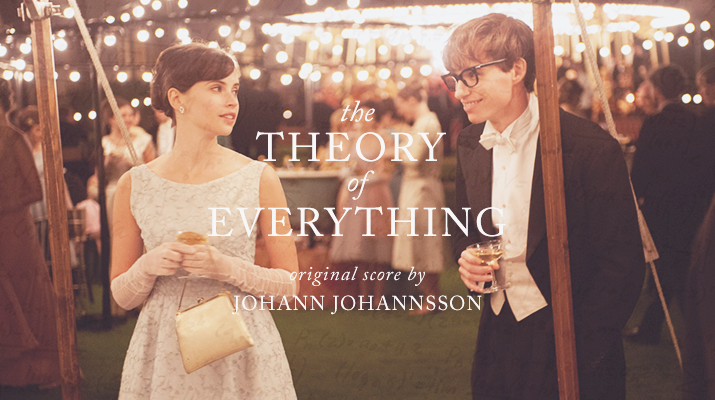 The classical score of the year, the one that will fill your ears with beautiful notes of heartbreaking sadness and joy, it’s Johann Johannsson’s work in The Theory of Everything. So gentle, so delicate, so worthy of every praise. 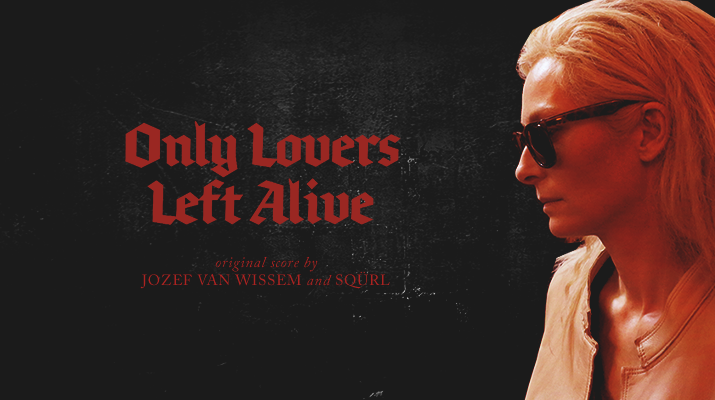 Foreign and exotic, with that taste of vampirism that we’ve loved ever since Philip Glass scored Dracula; add a rock edge to it, and you’ve got Only Lovers Left Alive. By the way, this is the one you can listen to on a daily basis without fear of looking like a geek. Whether slow and hesitant or frenetic and impulsive, the one thing that permeates this score is a huge, scary question mark. Listen to it and you can feel the search, the anxiety, the need to find something vital – until suddenly it all comes to stop, and you think you’re close to getting it, only to have the sounds twist again all around you, sending you right back to where you started. And isn’t that exactly what Enemy is like? 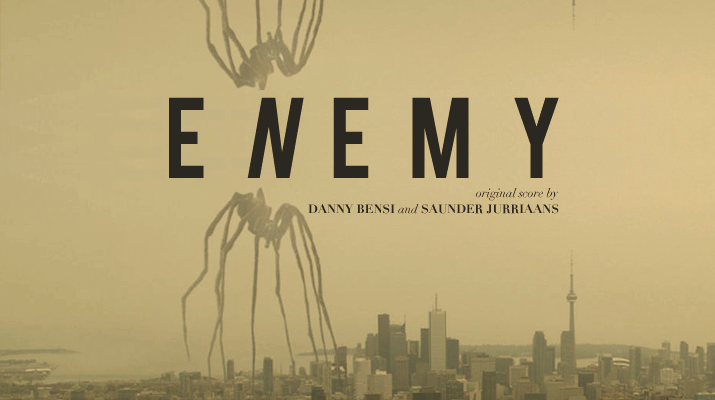 That’s why Bensi and Juriaans’s work is so impressive – it’s like reliving the movie. Here’s two composers that are no strangers to anyone who’s being paying attention to movie scores this last couple of years. 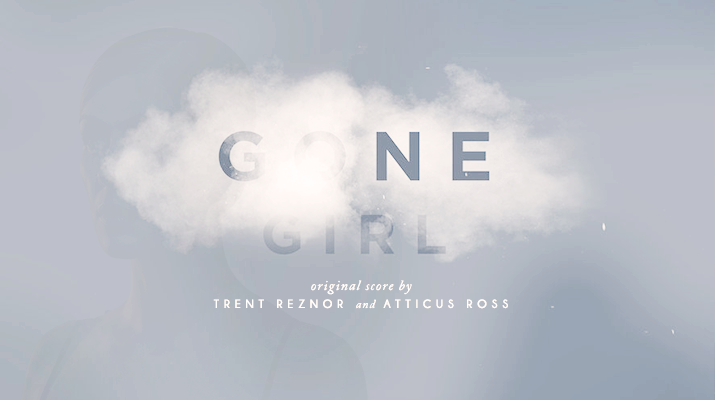 Notoriously well-known for their award-wining work in The Social Network, Reznor and Ross have proved to be the perfect addition to Fincher’s movies. In Gone Girl, their style is instantly recognisable but still original (the trademark of true talent, if you ask me), pairing those scratchy electric sounds we’ve come to love with fresh tunes as sweet as sugar. This combination takes on the movie’s duplicity, thus subconsciously charging the viewer with an unshakeable uneasiness. Back in April I wrote about Mica Levi’s score for Michel Faber’s Under the Skin before even watching the movie. Months later and having seen the movie and read the novel it is based on, it’s clear to me that this is the perfect score for it: alien, surreal, and every ounce as disturbing as the film. 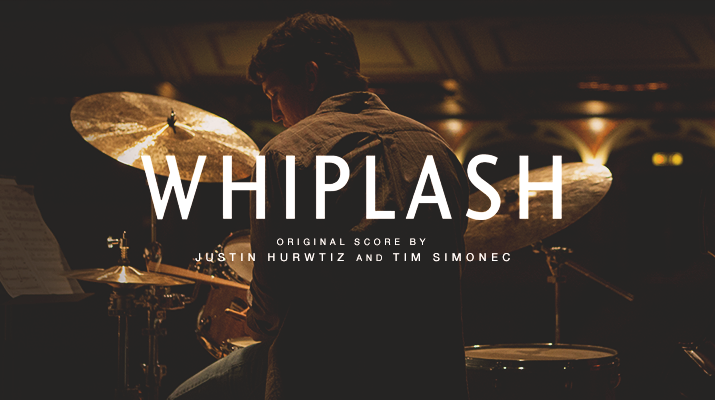 Perhaps it’s not fair to feature Whiplash‘s score since at least two of the film’s most iconic tracks (Whiplash and Caravan) are pre-existing jazz pieces – ultimately making it ineligible for awards – but even if it’s still not quite clear to me how much of it is original or altered, it was simply impossible not to mention it. Hurwtiz‘s score is frantic and electrifying (don’t tell me you can keep your feet still), and when the drum kicks in it doesn’t let go for a second, trapping us inside Andrew’s mind even when we beg for a break – because as much as it energises, it also exhausts. Even the underscore in between the playing had an edge to it that often escalated to unbearable tension. So much that when the adrenaline wore off, I was ready to say goodnight. But never good job. 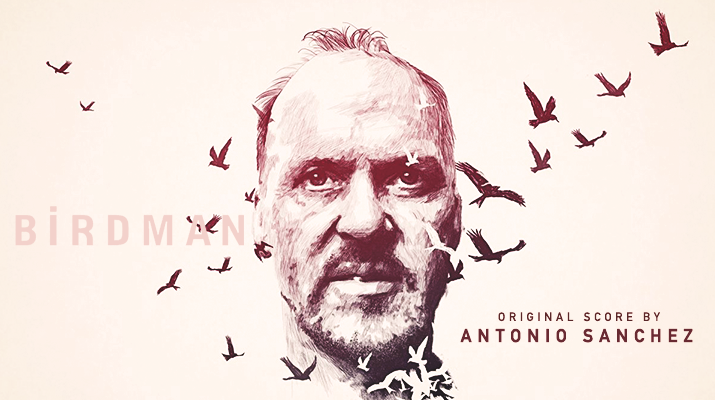 I still can’t understand exactly why Sanchez’s score was ineligible for the Oscars (plenty of original drumming in there, certainly enough for the Globes and the Critics Choice), but that’s behind us now; for it remains an undeniable fact that Birdman‘s drum frenzy was one the year’s most creative and unique scores, which is only fitting for a movie that so daringly stepped out of the box. Much like Whiplash‘s, its relentless rhythm keeps us glued to the film’s narrative and all its seamless shots, and the unevenness (almost unmusicalness) of it only intensifies the surreal and the unbalanced minds of Birdman‘s characters. Maybe it’s not one you’ll listen to from time to time (unless you’re in need for some stress and anxiety) but as a film score, it’s the one you just can’t ignore. 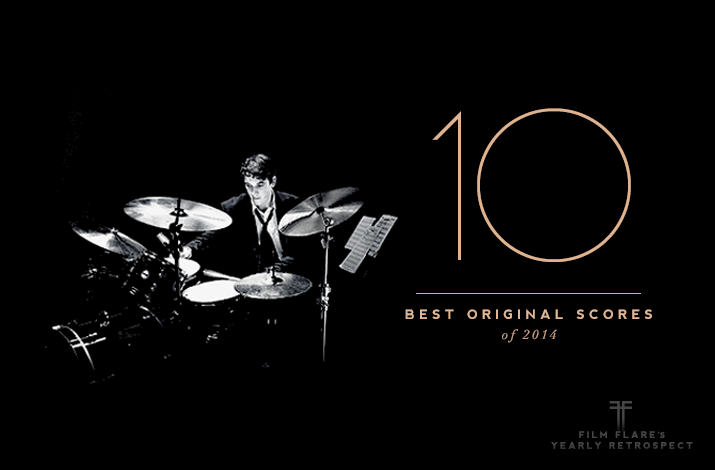 share your favourite score from 2014 below! ha, that’s a good choice of words. It should’ve been nominated! I haven’t heard anything from Listen Up Phillip, but I love all of the rest. I kind of forgot about Enemy’s score since it’s been so long since I’ve seen it. I’m glad you reminded me! 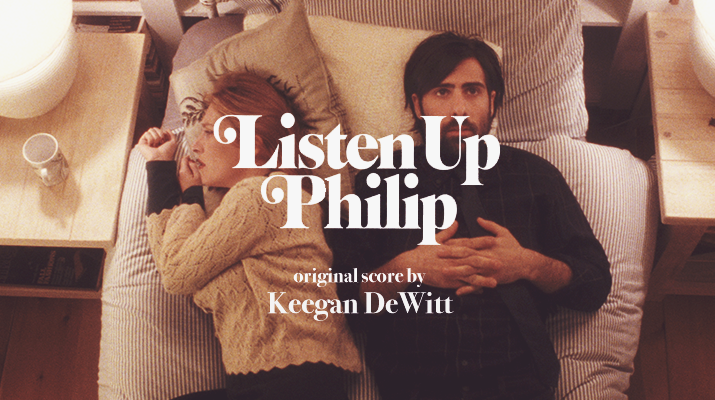 I stumbled upon Listen Up Philip’s score by accident, but loved it immediately. Happy to do it, it is a score easy to miss but it’s such a good one! Birdman really did that, I think it’s the score that best works with the movie it’s for. Oh I find the folkiness of Grand Budapest really cute! Great list Sofia! We share a few faves here. I esp LOVE Interstellar and Gone Girl, bummed that the latter didn’t get an Oscar nom. I also have both Desplat’s work in Imitation Game and Grand Budapest Hotel on my Top 10 Scores. thanks, ruth! I’m super bummed with that too, especially since I think some of the nominees this year are really nothing special. Desplat really did it this year, it’s amazing that he got a double nomination. Thanks Sophie, love your blog! Whiplash is one of my favourites of the year – that’s another list I need to publish soon. Listen Up Philip is kind of an odd film, reminiscent of older comedies, maybe from the 70s. I liked it! 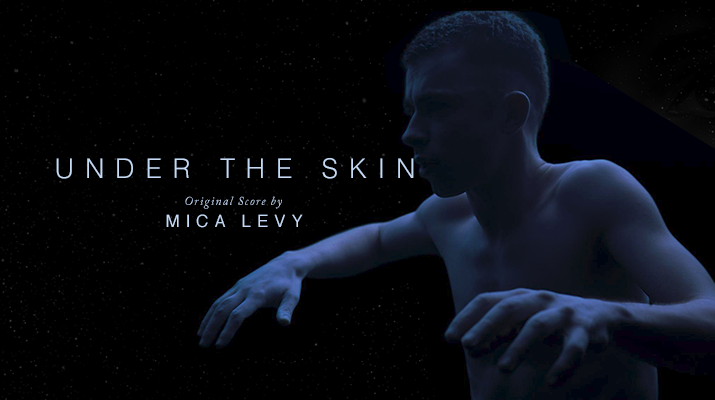 Mica Levi delivered the score of the year for me in Under the Skin. Thrilled to see it in the top 10. It’s also nice to see overlooked work in films like Cold in July, The Double, and The Rover get honorable mentions.